Christmas is over. The presents have all been opened, and everyone is gearing up for New Year’s celebrations. But I hate having to say goodbye to one of my favorite parts about Christmas—presents (I mean seriously, who does not enjoy the gift-giving part of the holiday season?). I love it so much, that I just don’t want it to end. I love that Christmas is the celebration of Christ’s birth, the greatest gift that could have been and will ever be given. The Bible says that “God so loved the world that he gave his only son.” He gave him willingly so that we may believe in him and have eternal life. It truly doesn’t get any better than that. But it doesn’t stop there. We also look at the historical St. Nicholas and the character of Santa Clause that we all know and love and see the act of selfless giving. From here, we also have our traditions of giving and receiving gifts to and from one another. Sometimes, though, we focus too much on the receiving and do not truly appreciate the gift that giving really is. A couple of years ago, my extended family started a new Christmas tradition—communally giving money toward a charity or cause that we normally would have spent on gifts for each other. It has really been an amazing new tradition for our family. There is just something so incredibly rewarding about giving toward something bigger than yourself. This year, as we welcomed Emily into our family through marriage to my cousin, Benn, it made sense to give this year’s money to The Pancreatic Cancer Action Network (PANCAN) – one that is dear to Emily as her family has been deeply affected by pancreatic cancer. Knowing Emily’s family’s story and her heart for PANCAN, as well as personally knowing someone who is currently fighting this type of cancer, made it the perfect place for our gift to go. It’s an amazing feeling to know that we are giving a gift that will not be returned to us directly. That is what selfless giving is. Giving regardless of whether the recipient will give something in return or not. I am challenged, and thus challenge you to give more selflessly this year (a New Year’s resolution, perhaps?). It doesn’t have to be monetary, but could be your time, prayers, actions, etc. Don’t support any missionaries? Try supporting someone this year. Don’t have a certain organization or charity that is dear to you? 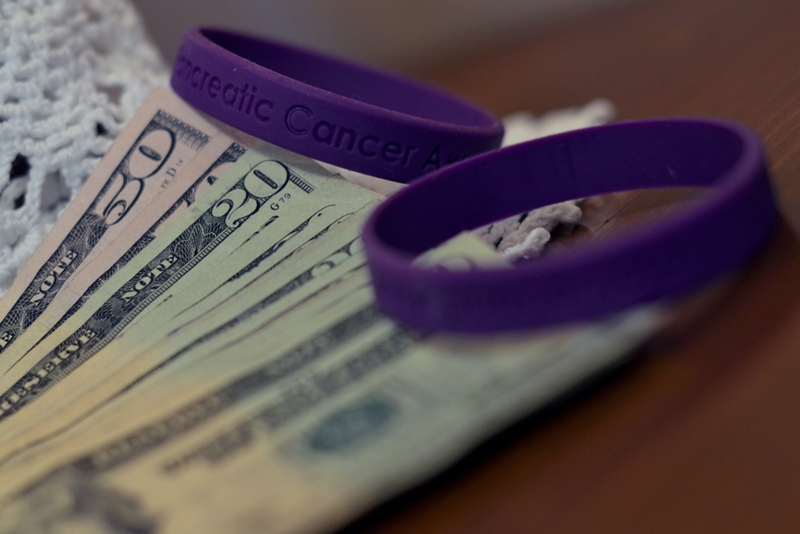 Check out PANCAN’s website and consider donating. Never given your time by doing some sort of community service? Find something nearby and give of your time for no return benefit – except of course for the fact that the gift of giving will be more rewarding than you can even imagine. Don’t rob yourself of making a difference in someone else’s life this coming year. Please feel free to share your New Year’s resolutions and any other comments you may have. Let others know below what organizations are important to you so that they may have the opportunity to give. 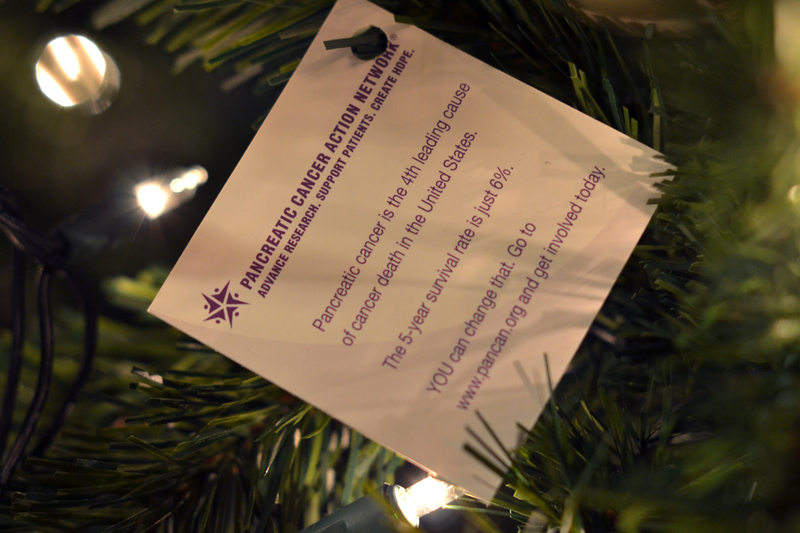 My mother-in-law died from pancreatic CA…glad to know about this website and enjoyed reading “The Gift of Giving”. I’m sorry for your loss, but glad that I could get you connected to this website. I love their mission. I actually wore the bracelet that is in the pictures today–every time I wear it I try to make it my goal for the day to pray for those who are fighting and for the families who have already lost loves ones. Thank you for sharing your comment on this blog post. Lovely entry…thank you Jen…thank you Draher Family Christmas…Emily is blessed to be a part of your family! And we are blessed by Emily as well! Thank you for reading the blog post and for the comment letting me know you read it as well. Thanks. I’m glad to hear that. I think of your family every time I see the bracelets.